Are you about to run a 99 designs contest? I'm not a designer, and I recently self-published a book on Amazon. So, I needed a book cover. My design skills being what they are – non-existent – meant I decided to run a 99designs book cover contestc. 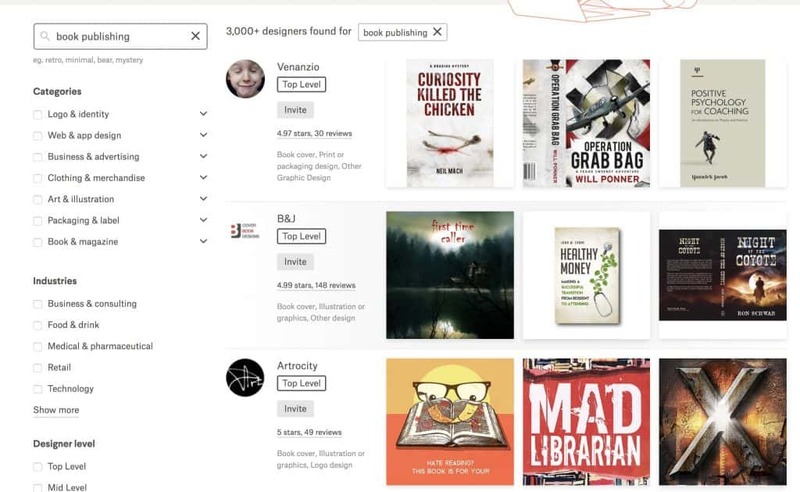 99designs is a design contest marketplace where you can run contests for: logos, web designs and book covers amongst other things. If you're wondering why choose 99designs, it's a great place to find professional designers for your book, website, blog and more, while working on a budget. As part of a 99 designs contest, designers complete against each other to win a cash prize (which you provide). Lots of top bloggers recommended 99designs to me. So, I ran a contest for a book cover on this website. My 99designs book cover competition lasted for seven days, and there were two rounds. The first round was open to everyone, and it lasted four days. At the end of this round, I picked eight finalists, and I worked with these for a further three days on their designs. Then, I picked a winner. I made some mistakes, and I learnt some 15 hard lessons about crowd-sourcing design projects like these. Here are my 99designs contest tips for 2018. 99 designs has four contest types, and you can pay up from EUR209-549. I didn't pay that much, as I had to be realistic about the budget. I ran a Bronze level contest. I also got a free Powerpack upgrade, for which 99designs showcased my contest to more would-be contestants. 99designs offers a 100% money back guarantee if you're not happy with the submissions. However, I guaranteed my prize, as I read this encourages more designers to enter. And it did; I received over 247 submissions (that's a lot more than 99). When you run a competition on 99designs, you have to write a design brief for those competing. I want the book cover to feel warm and friendly. It should make the reader feel like the contents of the book are accessible. I don't like gradients that much. I prefer minimalist flat designs. However, the cover should still stand out on Amazon and other book stores. I need to see the back and the front of you entry. Provide supporting pictures and explaining what you don't want. Several designers still contacted me to ask about the physical size of the book and also if I was going to print my book (no, I'm not). I didn't consider these questions until I received them. So, I drew a mockup of a book cover with Photoshop (you don't have to do this). I spent time researching the title of my book and writing the copy for the book cover before running this competition. Then, I made some minor changes to the copy during the competition, which slowed the process somewhat. The competition itself took a lot of time to run, so it's best to know exactly what you want before you start one. Lots of designers submitted book covers with pencils, typewriters and pens. Halfway through, I updated my brief to ask people to stop submitting these types designs. I wanted something more original. Researching these clichés beforehand will save you and the designers time. My contest ran for seven days. I spent 30 minutes each night commenting on the various submission and during the 99designs final round (which ran for three days), I spent an hour each day providing feedback to designers. I knew from talking to other users of 99designs that I'd need this much time to get the most from the contest. Run the contest when you know you're available to critique the submissions. It took me time to figure out how comments, annotations and the submissions process works. And initially, I wasn't sure about difference between eliminating a design and requesting a modified version of a design. I also learnt clicking on a book cover submission and annotating it makes for better communications with designers as you can be specific about what you want. That said, 99designs offers support and you can even ring them (I didn't). I tried to give feedback to everyone who entered my design contest. However, I received over 80 initial submissions, and this made it difficult to give every designer fair feedback. To save time, I updated my design brief and posted global comments that every designers could see. Several designers spoke bad English. As I only speak English (and Gaeilge), we had trouble communicating. This caused at least one designer to question what I meant. I received five excellent designs that I was happy with. I also received at least two dozens average book covers, and I received another dozen submissions which were either off-brief or of poor quality. The great book covers surpassed my expectations, but the poor quality book covers weren't any better than anything I could have created. This surprised me as I'm uncomfortable criticising someone's work, but 99designs recommended I rate the initial entrants with one or two stars instead of four or five. More than two stars during the first round discourages people entering a design contesta s they feel they don't have a chance of winning. Again, this strategy worked as lots of people entered my contest close to the various deadlines. During my design contest, the most original book covers were submitted close to the deadline. And the winning designer submitted his book cover an hour before the deadline of the entire contest. I learnt some designers watch a contest to see what the standard is like. And then, they make their move. Don't give into temptation and pick a winner until the contest closes. Let the deadline of each round elapse before you pick a winning design. You can create a free poll of your favourite designs and share this online. I contacted people on my mailing list, and I asked them to complete my poll (thanks everyone!). I also shared my poll about my design contest on various social media sites that I'm active on. If you want to do the same, I recommend sharing your poll like on the Google+ Authors, Publishers and Entrepreneurs community. The members of this group provided me with lots of feedback. Two friends have a background in design. They helped me eliminate off-brief designs and provide more constructive feedback to the finalists. I also used Pickfu to test my covers with a real-world audience. This is a premium service where you can get real customer feedback in minutes. 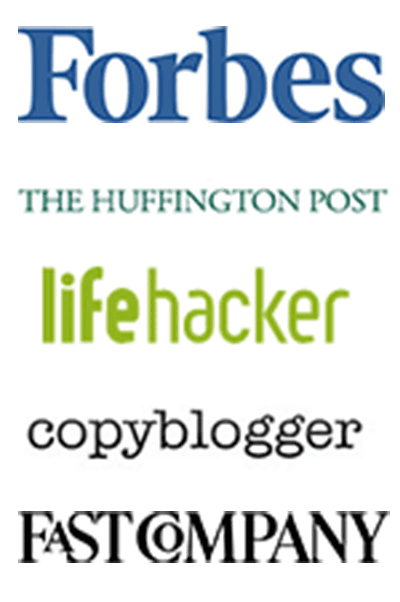 I use this service to A/B test various covers and to pick my finalists. I know Tim Ferris did something similar to pick a cover and a title for his book The Four Hour Work Week. One designer contacted me to ask why his design was eliminated. Another designer complained the winning design looked similar to his entry. I wasn't prepared for negative feedback, and I felt bad for both designers. This did make me question about the fairness of 99designs for those competing. During the final round I offered to contact the finalists on Skype. I also provided detailed feedback on their submissions. I wanted to be helpful but one designer said I provided too much feedback. He may have a point, but this felt like the only way I could get a suitable design. The next time I use 99designs, I'm going to offer less feedback to designers of covers that I don't like because it feels more respectful of their time. After I picked my winning 99designs graphic design, I had to pay an extra EUR20 for stock images, which the designer used. This wasn't a significant amount, but be prepared for these kind of expenses. If you're worried, ask your favourite partner or designer to clarify costs before you pick him or her. 99 designs is great for writers like me. I just don't have the skills or the time to create a book cover. I received at least three designs that I would be happy to pay for, and I'm delighted with the winning design. I'm less sure about the value of 99designs for design professionals. I felt guilty about those designers who put hours of work into a design contest that didn't pay out for them. If you're curious about the entries to my competition, here are the various book covers. Would you use 99designs? Or do you have questions about my 99designs contest tips? 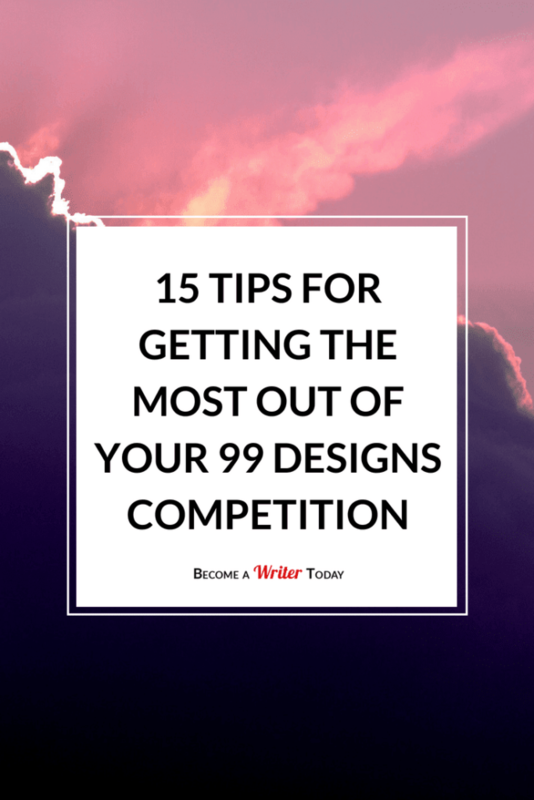 I've also put together a free checklist to help you run a competition on 99designs. Subscribe to get your free 99designs book cover competition resource. 99designs has added a new feature whereby you can search for designers. I typed in book publishing and got the below results. Check out all these book cover designers. I am a designer. Unfortunately 99Designs is NOT a fair place for professional designers. I have participated and have won in many contests, and I have been a finalist in many contests as well. However, the crude reality is that as a designer, there will be a lot of hours wasted or your whole time if you did not win. in other words, you are working for free, hoping that you will earn something. When a contest holder pay $300 dollars the winning designer is only getting $200 dollars. A contest can last over a week (7+ days). My mother can earn $200 in just 2 days, and she is just an office clerk, which does not require specialized skills. As a designer I would have to spend hours and hours trying to find a creative concept to execute. And if you want something that really is more creative and unique, then that will require more time thinking and exploring alternatives. Good things does not happen in your first tries. And a designer is designing for a client and his target market, so if the client does not like it, the designer will need to go back and find new solutions, which equal to more hours. In contests that pay $200 dollars I have spent over 24 hours without having it 100% sure that I will win (And 1 standard labor day is 8 hours). When a contest has a higher price the pressure is bigger since there will be a lot more designers trying to win. Sometimes I have sacrificed sleep time because nothing is guaranteed that I will win. The contest may have the money guaranteed, and that does not mean that the money will go to my pocket. One big problem between designers there is that they start stealing ideas from designs (it happen all the time when a contest is not blind). You spend hours thinking an idea, and you submit it, then someone use your design as a reference to make something similar. That is very frustrating. You also see designers making copyright infringements by using existing designs. From the dozens of designers that participate in a contest, most of the designs submitted are of a bad quality. It is a minority that manage to stand out in each contest. Why? Because designing something good require more time. Many designers there are not professionals and are just trying to win the money, so they just submit to see if they get a high rating or not. If they get a high rating then they will start trying harder to win. A sad thing of this is that it become a bad cycle for a designer. How can someone survive by spending the whole day trying to win contests? They would have a better life working in a McDonald, having a stable income than just hoping for over 1 week to win $200 dollars. And to add to that, for those designers that are using PayPal there, you have to wait near 1 week to transfer the money from 99Designs to PayPal, then another week to transfer it to a bank account (and add the time the contest holder take to pick a winner or if decide to extend the time). I have experienced this and there is a lot I can say why this is bad for designers. Contest holder does not have to worry since they can get back their money if they does not see anything they like. And when this happen all the designers that submitted designs to the contest earn nothing, just wasting time, sadly. I’m sorry you had a bad experience on 99 Designs. Many of the designers I worked with were very talented. Yes contests can feel unfair but having entered writing contests before, they can also be a useful way to set goals and challenges.I’m happy with the winning design, but you’d have to ask the designer if he was happy with the contest. You are a good communicator from what I see, and I am happy to see that. I am sure the winning designer was as happy as I was to have won all the contests I won. Looking backward it does not look that happy what I was doing. I am glad that through 99Designs many of my designs became the face of many businesses. however, designers using that medium are devaluing their profession and their time which make it harder and harder to make a living out of it. It would be horrible if a father of a family is forced to use that platform to bring income to a family. By trying to win a contest after another. There is no way that a person would be able to maintain a family and have a good quality of life in a developed country by using 99Designs. That is why you see many foreign from poor countries using 99Designs. Whenever I check designer profiles, what I find the most are designers from the poorest countries. And I agree that a contest can bring a challenge to oneself in a good way, but forced to depend on contests to bring an income, and participating in a contest to give professional services? Many people does not realize that it is easier to work with a single person that is able to connect with you and will know what you are looking for. At 99Designs you get a bunch of designers guessing. If you find a designer that fit with you, stick with that designer. You as client will spend less time dealing with those things by having someone that understand your vision. There are better platforms such as http://www.behance.net or http://www.dribbble.com where you can find a lot of amazing designers. I want to mention that I am an independent/freelance designer, and that I do not work in-house. My income comes from clients online, and I do not think 99Designs is the best method for a designer. It is not the same to have to spend one whole unsure week trying to win a contest versus finding a client that will supply a secure income for the next 2 weeks or month. I would work hard and harder to bring a quality work and I would work hard to keep that client with me by offering a quality service and experience. I have heard of others saying that one must adapt to 99Designs and crown-sourcing, and I think, I adapted for a long time, and I found it unethical, unfair, frustrating, for me and for all the designers I see there. Why not bring a good change to the industry? I ask myself. Slaves had to fight for their freedom to bring a better future to their lives. I think designers need to act smart to bring a new transformation to the industry to make things more fair where both the client and designer win equally. Thanks for posting a thoughtful response. My preference in the future would be to work with an individual designer on multiple projects rather than crowd-sourcing my designs. I used this site as the top bloggers recommend it and I was curious about what a design competition involve. I also needed a professional book cover. I agree it would be difficult to earn a living using 99Designs alone. My personal recommendation is that designers, like writers, should build their own platform, showcase their work and market their art. All of this would happen outside (or in addition to) 99Designs. I may try finding a designer on Behance or Dribbble for my next project, as I haven’t fully explored these sites yet. You can always choose to work with a designer from 99D directly. There are 1-to-1 projects where you can work with your favourite designer (maybe the same designer you awarded in your contest). This way it’s a win-win for both of you, since you work with just 1 person that understand you and know what you like and the designer make more moneys since the 99D fee is only 7% for 1-to-1 projects! I haven’t tried that approach yet… it sounds like a good one. I can understand why someone from a high-income country may not like this, but for low-income people it can be a godsend. It’s not clear to me why it’s more moral to feel bad for struggling US or Australian designers but not for struggling Indian designers on far lower incomes. 99designs is opening the design market to people who were previously locked out of it by an accident of birth. That seems marvellous to me. That’s a good point, I;’m all for the internet opening up new opportunities for people around the world. My only concern was that some talented people put lots of work in and I had to pick a winner! I was pretty happy with the standard though. I’m designers from poor country. Maybe $200 isn’t much there. You can get it within 2 or 3 days. But in here, it’s equal with 2-3 weeks paid. While it may seem reasonable to employ workers in lower wage economies, the employer/client should be wary of seeking the lowest pricing. The laws of the land for the cheaper designer may allow them to cut corners you are not permitted to cut in your own land. Those offering a low price design may be using pirated software and unlicensed graphic assets/stock. The cheap designer may not understand (or care) if the design they provide was stolen in some way. And the employer/client may not realize the issue until long after the transaction when the original designer comes seeking compensation or other legal action. As the design becomes an integral part of your own product, you can suffer serious financial consequences when it is discovered that your product’s packaging is a rip off of another’s product. I am going to cancel this contest, run another one with a guranteed prize, and if that isn’t better, it may be my last use of 99designs. Sir if you want to work more fairly, find people like me who need work done, and work direct. We’re not that hard to find. Yeah, I guaranteed my prize and that increased the volume and quality of submissions. It might take 7 days for the competition, but many of the designs are submitted within minutes of the competition going live – lots of designs have already been created, and are just tweaked before being submitted. It’s not like you do 7 days of work and get zero pay! Within minutes… so they must of made a design in a few minutes… not good. Just replying to OP. I definitely agree that 99 designs isnt really the place for seasoned professionals to be all the time. For them maybe they do one high level contest a month. For newer designers, its a great way to start learning how to work with clients, work on a deadline, and build a portfolio. Definitely not as a stable income but a way to start part time and transition with more experience. Crowd-sourcing also cause trouble in poor countries with its local industry. I am open to people working and connecting with others around the world, I love it. I think it is fantastic, and the internet made it possible, and I work with people around the globe. 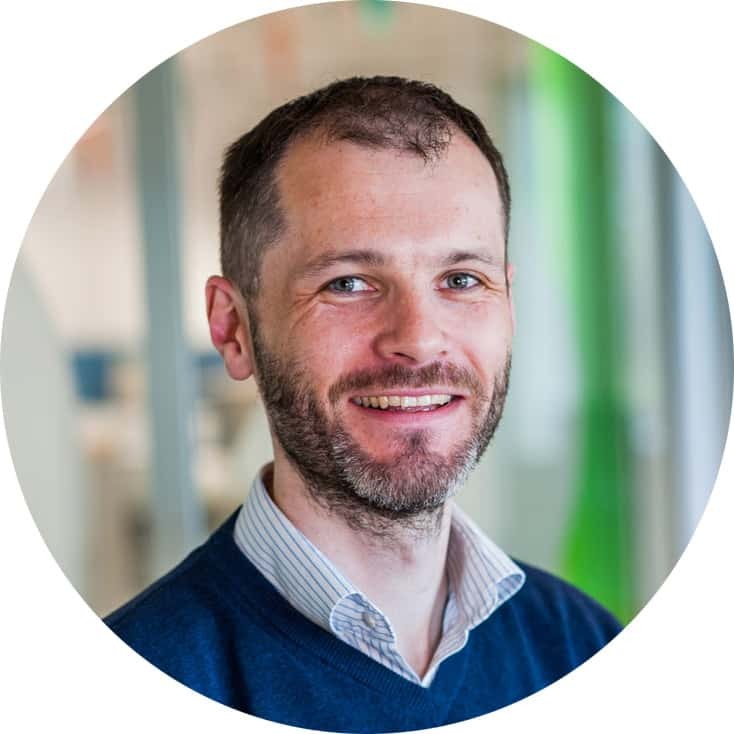 However using crowd-sourcing methods it is not the best options for those contributing for free to a business with the hope of winning, even in poor countries. The only good thing I can see is if the contest holder pick the winning designer for future projects instead of using 99Designs again. Instead of recommending 99Designs, to recommend the winning designer to others, but I always see 99Designs recommended, because businesses are having the experience with 99Designs services not just with the winning designer. My ex-girlfriend (now friend) is from one of those poor countries, Indonesia. Her earning is a stable income of around $250 dollars per month (This is considered low in Indonesia). She need to maintain her mother and her sister with that money, and it is not enough for her. She cant afford to buy a motorbike to go to work because the money is not enough for her to pay all her family needs. She cant afford paying for her sister’s school because she will not have the enough money. Thanks to a doctor that wanted to help, her sister can stay in school and have an education. Thanks to a doctor that helped her by gifting her a laptop, she does not need to struggle with university projects after work. She work 6 days of the week full time and also assist university in the nights. She is not happy with that little money she earn and she is looking forward for a better future in a different country where she can have a better life quality. I have tried helping her whenever I can with what she need, and for that, I am in better position to help when I am dealing with clients that value my time, my dedication, and what I do than trying to win contests. Winning $200 for those people can mean “a lot”, but how many contest are they able to win in a month? $200 dollars still fall in the low end salary in Indonesia. The Philippines is another poor country where I have met great friends that have to take care of families that struggle. The lowest salary for graphic designers entry level there is from $200 to $400, and for experience designer can go up to $600 in a month. In India the median salary for a graphic designer is around $300 monthly. Those people can have better chance of having a better life if they earn foreign clients rather than competing in contests of $200. The internet is an infinite world, 99Design is not the only option for designers to find clients. This bank is from a poor country and is crowd-sourcing its logo giving no chance to the local industry to profit and grow. Only 1 designer will earn $450 dollars, the other 366 designers will earn nothing. For a contest that lasted almost 1 month there are dozens of hours worked by those designers that will get nothing. I have been a victim of malicious behaviors from other designers at 99Designs. Once someone copied my design and posted it in a website to later report my design as a stolen one so I would be eliminated of the contest. There has been other contests where designers have tried to persuade the contest holder to make them the winner in change of doing more work for free. There are others who copy your idea and make something similar to what you did after seeing you getting a high rating. And a lot of those designers at 99Designs are young people that are not really aware of the damage they are doing to themselves and their profession. If there is one to blame it is the designers themselves. 99Designs as a company need to put a good reputation in their service, so all the negative will be hidden and buried to only show the positive sides they are offering to designers. And thank you for your replies Bryan. I appreciate that you took the time to read what I said before. i am new to 99designs.com, after this conversation i am thinking about to continue with 99designs, i am freelance web designer from india, i am ready to put my hard work and creativity of designing in efficient way. can anyone guide me to move forward with efficient way in my career? or please list me some use full website to apply my skills. I was going through your comment and realized that I have an article that details some of the genuine sites a designer can work for. I am also new to 99Designs, but it hasn’t yet worked for me. The link to the article is below. I hope you have been successful with it. I’m not sure exactly what is predatory about it. The winner of the contest gets a lot more than just the $200, if the person offering the contest is smart, and if the person entering is strategic about which contests they spend their time on. I’m sure that no one wants to have a career working for 99Designs, but I don’t think that’s the intention of the website. I think its biggest value is as a career-building tool for beginning designers struggling to find their very first clients. If you use the website intelligently, and your design skills are up to snuff, you won’t need it for long. But maybe I’m missing something. Any designers want to chime in? I would hate to contribute to something predatory just because it’s beneficial for myself. Basically, I like the idea of giving artists a chance to have a “trial run” working with me, and then entering into a business relationship with someone I know I can work with. Yes, the designers who lose won’t get anything… But the one who wins will get future work for 5-10 books (probably more, since I tend to prefer working with people I already know do good work), not to mention work for stand-alones or any other series that I publish, and maybe even graphic design work for my website, if/when I need it. If I could do this by paying all of those artists, I would, but the reality is that it’s just not feasible. In addition to future work with me, I also plan to make sure there’s a prominent link to my cover artist my website and book pages, including Amazon (since I’m pretty sure they have a space for that). And of course, I will also talk that person up to all my writer friends, for what it’s worth. Basically, the designer will benefit from all the marketing I’m doing for my own book. I feel like all of this is a substantial enough benefit for a beginning designer that it’s a worthwhile contest prize. As a writer, I have submitted “spec” work to competitions in the hopes of driving traffic to my website if I win. 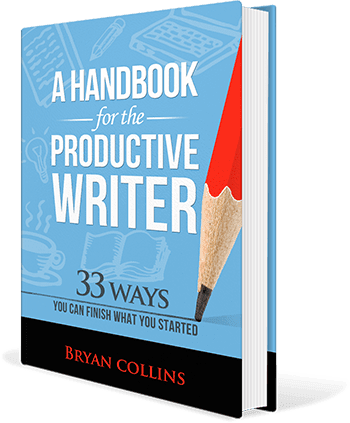 That tactic has been a pretty valuable tool in my marketing toolbox as an indie author/blogger, so I don’t see how it wouldn’t work for designers too? I don’t think 99 Designs is predatory for designers. I am happy with the cover I got. I felt bad about the hard word some of the designers put into the competition without getting a return though. When I run a future competition, I will probably take a less hands-on approach. As an aside, I often enter writing competitions and don’t get anything for my efforts! So I can empathise with those designers. I still recommend 99 Designers to any writer who needs a professional cover. AIGA and other design associations strongly urge new designers to refuse spec work. No Spec covers the primary issues. Ideally you’d find a designer with work you like, then you’d have the wherewithal to negotiate a contract with them to get what you want out of the deal. Wouldn’t it be cool if you could also use 99 editors? That’s a book editing competition site where editors edit your book for free and then you get to choose the favorite edit. Then when you start selling the book use 99 Tax Returns. A tax return competition site where you only pay the accountant who can figure out a way for you to pay the least tax. Do those sound exploitative? If not 99Designs is for you. If you look at someone’s portfolio, they may do beautiful work BUT it might not be the style you like. An illustrator usually has a style like a fine artist does. Graphic artist styles can very. When hiring someone for your book cover give sample of the things you like and KNOW why you like them. Freelanced.com is a great place to find designers who can exhibit their work without having to pay huge fees or can only show work for contests they won on that site. On that site you post your project, people apply, you look at their book, have a conversation with them. You shouldn’t have to pick a winner until you know if you like the person or not. I’ve heard of GA’s who throw fits when they are asked to change something on contest sites. They are in it for just that pay, not building a relationship. As a recently graduated designer, I’ve got to say that 99designs takes advantage horribly. First off, I’m willing to bet based off what’s on the top lists that most of these “designers” are self-taught. It’s not necessarily a bad thing, but there’s a lot I only learned after getting into design school. Design is considered the science of creativity, and there’s much more to good design than pretty art. We have to learn to research demographics, competitors, marketing, reception, and more that you don’t normally assume is part of an artsy job. That’s alongside general art principles and the specific area of design. Also as noted in previous comments, it’s a genuine waste of time for all but one contestant. Now, I don’t think contests are a bad thing, but 99designs is something that many users take to be able to make an income out of. This is like showing your portfolio and having an interview with a company, then they ask you to do what you think their work consists of to see if they’ll hire you. The worst part of this situation when designing for a specific company, is they have complete freedom to reject your 40+ hours of work and leave you with something you can’t even take to another potential client. No one will take “Ms. Mona’s Makeup” if I lose a contest for that brand. I now have useless junk and irreplaceable lost time, and by 99design’s standards there are no negotiations, either. By contrast to the above commenter(and as a fellow writer), prose written for a contest is not wasted if it doesn’t win. I have yet to find a prose crowd-sourcing like 99designs, and I hope it never happens because this really degrades people’s talents and lets mediocrity win. Ultimately, your design will only be as good as you pay for it. That’s because truthful graphic designers ask for what they’re really worth. Where a knowledgeable designer turns down work because it’s not enough pay to be worth the time(by the way, this is the most difficult part for freelance anything), there will always be a desperate, bad designer who will take scraps of money for their awful work – but hey, even if your logo is laughed at, who cares? Professionals in all industries care because it is a reflection of yourself when they look at what you make, so you should care. Design is an important career so long as we have businesses, products, print, and so on. We need money to live in this world just as everyone else does. For identity design, I’d start off with asking $1000. That’s what my skills are currently worth as a junior designer when doing freelance work, and I’m still being a bit on the humble side because that’s not many hours for what the job consists of. I don’t just create a perfect design out of the blue. I have to research the company, competition, do way more sketches than what will ever be chosen, find colors, do revisions, make sure the brand works for its target demographics, and more. I’m not being greedy, just as you are not being greedy asking for a publishing company to take your writing, market it, and give you money for what you’ve(I hope) dedicated a substantial amount of time on. I hope this gives you a bit more insight on it. Being that I love writing and design, I find that money-making can be difficult enough because creators of either get taken advantage of far too often. We don’t need businesses like 99designs to exploit a problem we want to defeat, right? Two of your friends have backgrounds in design and they didn’t punch you in the head for using 99 designs? There is a lot of crying here; take pride in your work and don’t expect free hand outs. something in life like a slave. Read your contracts, understand what you’re getting yourself into by saying you 100% Guarantee your work. ….so cry me a river ! Good advice about standing out and taking pride in your work. Get_To_Work: I fear you’re missing the point. It’s precisely *because* we take pride in our work that designers despise services like 99designs. Imagine having ten chefs cook you different dinners, and then throwing nine away to chose the one you like the look of best. That’s 99designs. Doesn’t matter if one chef went to the trouble of finding out your allergies, genuinely cared about the ingredients, chose bio-veggies, an organically farmed chicken, made the gravy himself, and plated it with care – the one that put no thought into that and used instant mash and imitation-beef could still win if the meal looked tasty enough. I’m a designer, and I find it appalling to treat people’s time and work this way. If it were a true contest, then there’d be a winner, and a runner up (and usually even another runner up). But 99designs is not a contest – it’s a race to the bottom and plain unfair. You say it’s good for experience? So is playing with ideas on your own in your spare time and posting them on your deviantart or dribble account, you’ll get more useful critiques there than from most feedback on 99d. Truly working on something and not presenting it or taking money for it until you feel it’s right is taking pride in your work. But rounding up a heap of kids who own photoshop and telling them they’re ‘designers’ is not kosher, and not pride. I make my living off design, and it’s tough enough to do that without services like these ruining our profession. Just my 2c. By the way Bryan, this is not an attack on you. Of course services like this are appealing to those that need speedy design work done. It’s just that it’s difficult to see what damage it does from the other side of the glass. 99designs is very interesting platform for freelancer but one need a lot of patience before winning a contents & you will have to put hard effort without knowing you can win or not. There are certain pros & cons of working on 99designs & In my case I am very happy because I just won a $1200 logo contest in Platinum Category…. Congrats on winning the contest.Your designs must be impressive! The crowdsource industry is the worst thing that has ever happened to designers any designer that participates these companies are spitting at our profession. They steal concepts from other designer all the time. Its easy to start a contest collect all the ideas and concepts say you’re not satisfied with the submissions, get your money back and recreate or have someone else redo the work themselves. Bryan, I think that you are like most people when it comes to 99designs; you get what you want but feel bad in the process. The value that 99designs provided you greatly outweighed the price you paid, so why would you stop using it? You’re a writer, so imagine news websites posting up a brief saying they want an article written about ‘x’ topic and will pay $300 for it. 247 submissions come in, and only 1 writer gets paid – 246 writer’s work goes to waste – would you support this platform and what it does to writers around the world? I don’t need to explain how the design and writing processes are very similar when it comes to effort, research, and time spent. It’s funny, you said you felt guilty even while running the contest in your post (before anybody said anything in the comments), that should be an indication that there’s something wrong with that platform. Sadly you continue to promote it (understandably), but I hope this comment and others can enlighten a few others to support great design profession by not using 99designs. I’m not a designer by the way, I’m a business man. Many writers struggle with design or waste time dong it themselves. For this reason, 99 Designs is popular with writers. I understand you’re reservations. I’m glad there’s a debate here about 99 Designs thouugh. I got a cover I liked but I am hiring a designer for my next book. I’ll blog about the process here. I have also tried many crowdsourcing websites to get different designs for my businesses. I was spending huge money besides collecting experience with 99designs, Designcrowd, Freelancer and some other sites. Once i was scrolling through my FB feed i discovered DesignPac which is really really great service. It provides unlimited graphic and web designs for a monthly flat fee. You can make them design anything like anything which can be a small icon designs to big web designs too. Price starts from $199/mo for starter. Altough, i am using Small Business package since couple of months and i am really very satisfied with the output. Completely professional design just in 48 hrs. I usually get 10-15 designs per month. (mostly printing designs, social media graphics & web designs too). 10-15 nice designs at $299/mo. is super amazing personal for me. I am saving huge amount money. Just Wooww!!! That sounds like an great site, I’ll take a look. Thanks for sharing it here Yung. yes i am fully agree with you! i hate when i meet a clients with a poor taste of art. they choosing crap and plagiary design and just pay it for more than $500! in the other hand all of the designer who has a original idea get nothing. It always blows me away that other artists, writers etc. feel like 99 Designs is an ethical and fair place to look for work. I won’t reiterate what the other posts have said, they all seem to be logical and truthful in their resigning to the unfairness of the spec site. There are some major differences between writing for spec and designing for spec. I think most designers would think it a huge win if 99designs offered a kill fee. I think that the scariest thing about 99 Designs, as with most corporations, is that they seem to be touted as great business models for growth, where growth is gained through gouging the person providing the service. In two months i have won 2 contests, pretty good average for being on the site so shortly. The problem is 99designs takes 55% of the earnings! 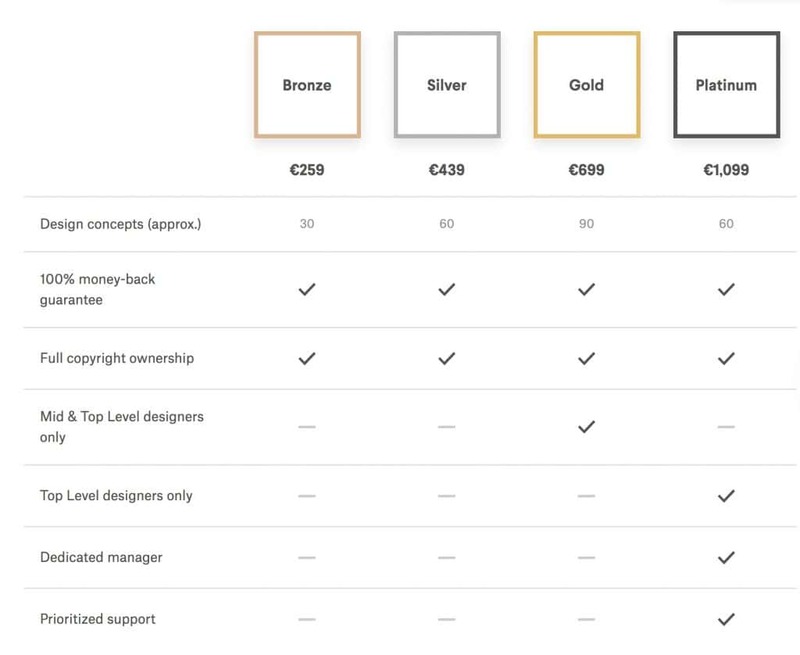 In a bronze contest where the buyer pays $300 the designer get $165 of that. If as a consumer you cannot see the ethical problems with this, and the type of talent it brings to the table than keep pouring money into sites like this. I wasn’t feeling overly confident about my skills as a designer, so I thought that 99 designs would be a great place to “practice” for a bit. I did a lot of designs for a lot of contests and I got a lot of high ratings. I never won a contest though. The reason I ended up deleting my designer profile is because of one person in particular. She wanted an original, custom, hand-drawn design. I’m not great at drawing, but I thought, ok.. I’ll give it a go. I spent hours and hours drawing and revising and redrawing until it was perfect. I was so happy with my design. I uploaded it and within an hour she had given me a four star review and said that she LOVED my design. Not long after that, dozens of designs came pouring in using some altered or slightly modified version of MY artwork. She rated them all a little below mine, and I was still fairly confident in my skills because the client kept requesting that I make this revision or that revision, she wanted to see it on different colored backgrounds. I did everything she asked.. and at the end of the qualifying round.. My design was eliminated. I kept watching though and at the end of everything when she finally picked her winner.. it ended up being someone who ripped off my design and slightly changed it. It infuriated me beyond words. It was as if my time, my effort, my creativity, my talent were worth nothing. They were a jumping off point for everyone else to get a foothold in and make changes or alterations. Not one of the designs submitted after mine was an original creation, they were all modifications of my design. I deleted my account on 99designs and never looked back. I believe that people who put money into this website are supporting this type of un-ethical behavior. I’m sorry to hear you had a bad experience on the site. I think I read somewhere that it’s the winning designers often submit their designs close to the deadline for this reason. Obviously, that doesn’t justify ripping off someone’s design and I know 99 Designs has a redress facility for people who this happens too. For my next book, I’m going to work with an individual. I’ll share how I get on in a future post. I’m running a contest on 99 designs now and I’m a little surprised to hear about the idea stealing issue. Anything aside from a blind contest sounds like a great way to get reiterative and unimaginative work. I submitted a web page with a solidified/final wire-frame, copy & pictures! I STILL got mind-blowing, variety in approaches because I had a blind contest. BTW, I plan on awarding a first & second prize as well as offering a private agreement with another to marry elements in designs & do the background pages. That’s 3 winners with one (relatively) big prize out of 22 designers. I find 99 designs is great for (1) design brainstorming & (2) finding a good designer to work with in the future. Do you know Cocontest.com (https://www.cocontest.com/) the 99designs for interior design? What do you think about that? After nearly 30 years in corporate marketing and leadership roles, my experience was working with a cadre of graphic, packaging and web design teams as well as a host of agencies, I know how to write a brief, and I would liken that process as being a contest as well – many creative minds and talents work competitively and collaboratively at landing the “winning” design. They are just salaried and their work is more focused in consistent purpose and culture. As the client, I always had access to more than one individual designer – but projects and needs were matched with specific skills and competencies. In a new career phase I am in process of starting another small business. I am currently the sole employee and working on tight budgets to get this business off the ground. 99Designs has introduced me to a community of designers that I find to be a critical need vs. taking a risk by working with a single designer at a much higher cost. It’s a value equation at this point of my business. Once connecting with the winner, this will lead to continued work for consistency in web design, final packaging, marketing materials, etc. In this role, I am the client, who establishes the value equation and service needs. As a small business owner, I also have clients, and need to meet their expectations for value and service. I execute a variety of tactics to attract, gain and maintain relationships to build my business – some have a higher rate of return than others, which I need to assess for myself and my business – but the goal is to build a relationship and longstanding relationships with customers. If I don’t pursue a tactic to grow my business, it doesn’t mean that a particular client is bad, or damaging to the industry because of what is required – their sole existence is totally in response to the value and service need they are providing their clients (as 99Designs is doing for me). There is also an economy of fabulous designers who need or have the flexibility to work in this realm – or are just looking to expand their own portfolio into new areas, refine their design capabilities or to build experience presenting and listening to a variety of clients/personalities. As a designer, you can fail fast or build your profile by being in the top 10% of contests, even if you don’t always win or get an immediate return. Designs not chosen are your copyright and can be in your portfolio. I do a lot of presentations, researched and customized for every client, exhibit at expensive trade shows, and don’t get a “kill fee” for my time, travel and expenses if I don’t get an immediate order or a contract. This is all “on spec” work where I am not paid. I test many marketing efforts that don’t always have an immediate or high ROI. The key is knowing when to keep investing (time/money) and when and how to shift direction to either move on or to refine my tactics and push forward to grow. 99Designs does have a mechanism for reporting design infringement — I did not see any experience noted in the comments with using this feature, or how designers have addressed their own copyright infringement in this case. I also suspect that there may be subjective interpretation in what is meant by “copying” vs. someone building on or improving a design direction. Be assured, as a client, if the original designer was clear in their interpretation and presentation and demonstrated professionalism and a collaborative and service oriented approach in meeting my needs, they would be in the finalist group – there are a lot of factors in play vs. just the design in choosing a winner. My goal is to find and nurture a successful designer-client relationship in the future. Logo and commercial design is also not art for art’s sake, and yes, I agree, that there is never any accounting for taste (whether it’s design or a great product on a shelf or movie or hit song). In my previous business, I once lost an order to another competitive vendor who had taken an idea I had (after a client expanded his “brief” to include my direction for a marketing effort) to a new and improved level – I assessed why, got feedback and determined I would approach differently in the future. I learned how that particular client’s game works, and had the choice to either play to win in the future, or pursue a different client. I could have felt victimized by unethical behavior and walked away, but it was a client base that I strategically wanted to crack. Tenacity and an informed and different approach did pay off in future business. Being a small business is hard, and we all make choices to either pursue our passions as an independent or to work for someone else who funds all client/customer acquisition, web hosting, collecting and distributing cash, advertising, production and distribution, overhead, etc. involved in a creating a profitable business model. I have different pay structures and benchmarks based on the strategic (long view) or financial (short view) needs in my business to maintain a balanced portfolio today and in the future.. If over a test period, crowdsourcing sites do not provide you as a designer with either a financial or development advantage, then walk away from this target market and put your efforts behind the clients that are not using sites like 99Designs. Either be the victim, trash the competition and client base and hope the world will boycott this particular outgrowth of the social and digital revolution because it’s not fair, or put those energies into defining a solution for your design work that can help you to grow in light of and in spite of the trend. We all need to continuously innovate and change to grow our value and service based on the changing needs of the total market. Crowdsourcing and greater transparency overall affects much more than just designers, but all aspects of our lives as consumers and in business. One of the recurring complaints I hear about 99designs is that all contestants except the winner will have worked for free once the contest is over. But this is the reality for many types of businesses. If you enter into a call for proposals in any business or market (construction, advertizing, IT, …) , you know that whatever work you’re putting into your bidding, your chances of making back your time and money investment is (simplified): 1 to [number of competitors] * [quality of your work]. I often put several hours of work into getting a potential client to sign up for my services, only to see them walk away. That’s just how it is. There is no 100% conversion rate. I think the biggest mistake you can make is thinking that submitting your designs to spec contests like on 99designs is a business model. It isn’t, or rather, it is for 99designs, but not for everyone else. At best it’s a way to make a name for yourself and build relationships. To get those important initial clients and then build on them. And for that to happen you’ll have to invest the time and, potentially, the money to submit designs and improve your skills. If it were easy and free, everyone would be doing it. 1. A contest gives no guarantee of victory. No football team is sure to win the cup, but spend their time in training and racing. The concept of the contest is clear to those who participate on 99designs from the beginning. Why complain about just this? 2. If you are a winner the prize is ensured. You will receive it without doubt. This is very important if you live in a country where work is required, but payment comes only after a long time, many requests and some threats …. 3. 99designs is a good solution if you have difficulties in finding customers in your country. Or if you have no idea about finding them in the US, UK, Japan, Espana etc etc. 4. Yes, it is true, many times there is not a proper behavior among the designers. Neither the contest holders are saints in heaven. 5. Yes, it is true, many times there is not a proper behavior among the designers. Neither the contest holders are saints in heaven. Fairplay is an extra in any human relationship. Or not? 6. If you are able to understand what the CH wants (and is the hardest thing to do when the brief for a cover of a book is 10 lines, for example), you’ll likely be directly contacted for other jobs. This also happens and we have to say that. 7. Who wants to live by working only with 99 designs, will have very hard life. There’s no doubt. But 99design is to be considered only as a POTENTIAL and SINGLE customer. Which professional works with only one client? I have gone through article and feedbacks above. I feel it is insightful. I learnt a lot. Few feedback providers here are designers as well. I personally agree that apart from winning designer, its waste of design hours for other designers. I assume we are discussing the problem here. I would love to know the new ways to reach better outsourcing clients or what could be the change required in crowdsourcing websites, which justifies both client and designer. Everybody is welcome to share their thoughts. I am considering sacrificing much needed money to use 99designs. You can only be frustrated with 99designs if you are looking to make a living from it. You can’t complain about hours you put in and that you might not win. Why? Because the site is straight forward: It’s a competition. You signed up knowing this??? Right??? So anyone could win. So if you are trying tomake a living from this then that’s a sacrifice and risk you have to personally make. That’s not 99designs fault. I conclude that 99designs is perfect if we use it as a portfolio builder. Imagine having winning designs for some good companies? That is the ultimate resume to have on your own site and build your own client base. I designed a little(no pro) and one customer loved my design and he kept coming back and even bring others to me.. to the point I had to stop because it was too much work. It starts with a good portfolio and one satisfied customer at a time. I saw one designer won the competition for the new york time square logo!! Do you know what that did for his reputation? That means he can start his own thing and charge both premium and non premium prices for his work. Be smart! You can’t make a living gambling. A competition is always a gamble. Gambling always leaves people frustrated because you lose more than you win. Use the site to your advantage and see competitions as possible stepping stones to something bigger instead of seeing it as $200. I just saw a young lady illustrations on instagram and i contacted her to do some work for me. I like her portfolio. She could complain about fiverr or 99designs but she saw the bigger picture. So see the vision and stop seeing $200 and $5. Do quality work regardless. If you don’t like 99designs as a designer, don’t participate. How hard is that? If the designs selected are of overall poor quality compared to the expectations of the paying clients, the site will die. If what is provided is of enough value to the client, it will remain alive. No one wants to hear about the plight of a designer who bemoans that this site exists. Sorry, this is the world we live in now. Should we outlaw it? As consumers ban it? We are sorry you feel undervalued but it sounds like the real problem you have is that globalization and the internet age have increased competition drastically. You cant fight this. But I guess you can bemoan it. You can submit JPEG, and PNG. I cannot remember what else, because my account was put on hold by them..They tell you that on the site, and the file size limitations. I thought it was hilarious that you told the designers that you don’t want designs with a pencil on and for them to not submit such designs, that you want something more original, then chose…wait for it…a design with a massive pencil on it!! I guess I’m the classic case of the client who doesn’t know what he wants! Actually, I sent the list of final designs to my email list and also ran a poll to pick the best one. This design was the winner. I just stumbled onto your article while looking for posts on 99design contests on Google. I would have to agree with a lot of the designers here who are against spec work. It does devalue the profession of designers. I come from Bangladesh, and to be frank here, I’m not a professional designer neither I’m poor despite being from a poor country. But I’ve always had a soft spot for designing websites and stuffs, in fact made my first website when I was 11. And after that, I took a long break from the “design stuffs” and focused more into my studies. Recently, I’ve re-started learning to design websites logo,graphics design using course sites such as Udemy,Skillshare and free YouTube videos. For me, I want to become a part time designer, and as a newly aspiring designer with no experience, contests are my only way of building a good portfolio. I don’t mind working for free since I’m gaining valuable experience through analysis research of the required design and such. Just as you said you yourself have had been into writing contest and at the end, didn’t win. Once I gain some good rating and reviews , I would build my own portfolio own website, where I can find potential clients who will see and know that I have enough expertise to execute their project. I see such design contest like any other contests held in the society, like an art contest, where the best drawing will be chosen as a book cover or something, nothing wrong with it. Getting a stock photo with custom text is cheaper to find and buy on the very cheap stock photo portals. Like from $5. You save $294. A good brief is the key to design success. With a good brief you might as well have had is faster and cheaper using a designer from just around the corner. I would love to see this concept developed on writing blog posts. But then again. Would I like to pay $299 for common text. I would probably just get a copy-paste variation. My advice: next time remember to test the stock photo centrals. They have illustrations and more way cheaper than 99designs pool. Hey Brian, I really enjoyed your post. I came across it because I was sent an email today that my account was being put on hold because my work didn’t meet their standards, I was upset and surprised so I went to researching on whether this had happened to others…Here’s what the email said, “Thank you for your interest in 99designs. However, the current quality of your work does not fit our site standards. As a result, we have placed your account on hold. I’m a 3rd year GIT student at ASU. GIT is Graphic information technologies I’m currently awaiting approval to join the accelerated master’s program for computer science and technologies as well. I do things like make animation in After Effects, branding, logos, graphic work, HTML coding, studying colors, etc. Basically anything you can see in print, tv, or web we study it, work hard at it, and eventually hopefully graduate. I’m a 4.2 GPA student who has been on the Dean’s list for the last two semesters. I do volunteer graphic work for a non profit, and for the animal shelter in my community. I also hold a full time job along with trying to hone my craft and go to school. I guess my point is that I don’t expect hand outs. When I see that people want 3-5 years experience, I go out and get experience, I don’t wait for it to come to me. That’s why 99designs seemed like a good idea. I am not the most confident in my work. I know I’m not as good as people who have been doing design for 10+ years. I know this, because I get better with all of my practice, and I cannot even imagine how good I will be when I’m that experienced.I am however, very creative, and I know the technical things that go into the work. These are things like colors/moods, leading, etc.. For me this was a chance or so I thought to see what real clients were looking for, and to practice. If I won some money hey that’s great, but I didn’t get in this expecting to win. Anyways, I followed all design briefs to a t. I worked for hours and hours upon more hours trying to get several designs out on each brief so that the one running the contest would know that I could do multiple things. I watched other designers get poor ratings of 1 and 2 stars, when really in the design world they did a great job, it was probably just a difference in preference and taste. I got a 1 star rating on something that I was very proud of, and for a student it was very disheartening. I started doubting myself. I didn’t give up though, but then I realized I had gotten another rating of 2 stars on a different project. Then today I got the email, that I should watch some design tutorials to learn how to meet their standards. This sent me to tears. It was vague, disheartening, and in a way rude. I don’t know who makes these decisions, but for someone who really tries it is pretty depressing to get these really poor ratings, and then be shunned from a site (that doesn’t even pay you, and would literally be nothing without the people spending hours to work for free). After reading this post,and comments from other professionals who have had similar experiences I can say that I’m not giving up just because I keep getting knocked down by this site. I’m taking it as a lesson learned. I feel like it’s my responsibility to let others know that they aren’t alone in their poor experience. Someone may not be as strong as me, and they may let it completely turn them off of designing/creating. I guess my point after all of this rambling and ranting (sorry by the way), is that there are tons of people like me who will work hard, who DO work hard, and who would LOVE to get you the perfect design. Part of the process is talking to the client and learning about them, so you can make something special for them. I feel that no matter how hard you try there is no way to do this when there are 50+ designs. It takes time. Poor ratings may seem like a click of a star to the person holding the contest, but a poor star rating, with no explanation can be devastating to someone who spent hours researching, and working to try and provide a good design for the client(especially if you’ve poured your time, effort, and soul into multiple contests who basically all keep telling you, you are a 1 out of 5 or a 2 out of 5. It really adds up, and takes an emotional/psychological toll.) I’d love to discuss any of this further, shoot me an email @ Adrienne.Nico.Ingram@gmail.com if any of you’d like to share your experiences with me. Thanks so much. I submitted work on 99Designs as a designer when I was starting out in the industry. I was a young graduate (qualified in graphic design) and thought it was a great way to build my portfolio and see what people thought of my work. I entered maybe 20 contests and won 1. But I saw it for what it was, ‘a competition’ and I didn’t expect to get paid for the amount of time I invested. Now I’m a bit older and wiser I don’t waste my time on spec work, it’s not worth it. If you’re think about using 99designs for your new logo or whatever, you have to realise that the majority of the designers will either be: students or graduates, be a designer from poor country (where $200US could pay a months rent), not be a designer at all and submit poor quality designs or a combination of three. The issue with graphic design is that there are minimal overheads and people enjoy creating artwork. As long as you have a computer, a stolen copy of adobe illustrator and access to the Internet you can call yourself a designer and submit work. There arnt too many trades where you can do that! At the end of the day it’s up to you where you put your money. Could you have gotten a similar or better result for your $300US by hiring a local designer and supporting your community? Possibly. Would you have gotten the amount of designs to choose from? Not a chance. 99Designs makes you feel like you’re getting value for money, but at the end of the day it’s the final result you’re after. And in regards to your book cover, (although it looks good and I’m not knocking it) I don’t see an original piece of artwork which you briefed. I see a clichéd design with stock imagery. Quick question, if you use a purchased 99 design do you own the intellectual rights and copyrights? Just curious enough because I used them and a friend is informing me I could be sued if I use the logo because I do not own it. You own it, you’re buying the designs. There is a Design Transfer Agreement that you sign at the end of a competition. Holy, what a bunch of cry babies in this comment section. If you enter a contest in this website, you HAVE to know that you have big chances of working for free, but that’s the fun of it, EVERYONE, no matter who, can participate, even a poor Indonesian teenager who’ll never get 200 bucks for any work he does in his country. Don’t want the risk? Simple, don’t compete, don’t use the site. Trust me, there a lot of clients out there. Do you want to make a living out of design? Create a impressive behance, get popular, meet people, but, just so you know, there’s a lot of competition there too, just like 99designs, “real life” is actually even more competitive, the only difference is that you don’t actually see the competition happening and you losing. This site is just great for beginners who don’t have a way of getting clients of building a portfolio, but it’s NOT meant for people who want to make a living out of it, obviously. I entered some contests, and won some, just for fun, used some of my free time for a challenge. The ones I lost, I actually think the chosen design was horrible, but that’s how life is, even with face 2 face clients, they’ll choose you based on your portfolio, so they can choose another person with “worse” design… just because they want. People will continue to be empowered by this platform, and clients will still use. That’s freedom for you all. Get over it. I’ve run 2 x 99D competitions and was really happy with both results, the second one more so. The last one i ran with, I later learned after the competition that the winner of the competition is a world class designer featured in numerous articles in both print and web and he entered the competition purely because my brief was fun it was bronze level initially but i upped the prize mid competition and guaranteed it. So crack the brief get some amazing designs. Yes I agree, a great brief helps a lot. everything is PASSI BEL – Someone wrote its a stupid idea to make 99designs one’s KAR EER and I disagree, I made it a KER EAR and I am hap pee about yit! Another great site to use getting a book cover is Designhill.com, the biggest competitor of 99designs. Try it out today. I haven’t used this site, but I’ll check it out. 99Designs. As a designer (from Africa), the idea of it excited me at first: a chance to make more than $10 for my designs and measure myself against talent from across the world? Sign me up!! But after a few competitions I realised that I was paying for all the work I was giving away to the site with my own regular work. Its not as though my designs completely sucked either, got some great feedback and made it into final selections a couple of times but at that point, the expenditure of time, energy and bandwidth was becoming a too heavy a burden. Towards the end, I could only justify entering interesting blind competitions with deadlines a few hours away as a creative exercise. I’m glad you had a worthwhile experience but for a lot of us on the other end of the equation who want to make a living from design, being just a free stat to pad 99d’s numbers either drives us to game the system or, like I did, move on to other platforms less reliant on copious amounts of spec work. Did you have to pay commission to the website owners? Or it was included in the package? This is a fascinating discussion! I am a professional artist (semi-retired) and I have always had an aversion to competition in art, or design. As a writer I would never use 99 designs for the simple reason that I prefer to create my own illustrations and designs. In early years entering competition I found that the work I created FOR a contest was inevitably not my best and I didn’t enjoy it. 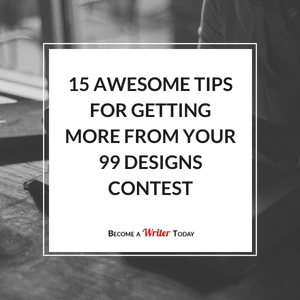 I can imagine that many of the designers entering a contest at 99 designs may have a collection of sample work or ideas that can be tweaked to aim at any project so they can enter early and often. The main problem with designing for an author as I see it would be that an author may not see or know a really great design when they find it.